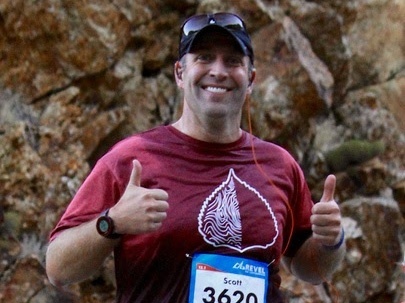 Scott is a reformed couch potato who discovered distance running in the Fall of 2008 and hasn’t stopped since.. A self-proclaimed middle-of-the-pack runner with a gait his running coach once compared to a “spastic Clydesdale,” Scott feels comfortable training solo but also enjoys the camaraderie of running with friends. Running for him is not only a way to stay healthy physically, but it also does wonders for the mind and spirit… it also makes his clothes fit better, which he says is a nice bonus. You can read about his humorous and slightly askew take on running in his Tripping The Kenyans blog.